Biologists no longer consider evolution a steady or gradual process. New traits often spread suddenly, and a new species may crop up in tens of millennia or less. These “punctuated” or fast evolutions happen when a population faces a new stress or opportunity, particularly when a group stumbles into a new environment and gets isolated from the rest of the species. (I’ve blogged about a couple examples: the abrupt Stone Age appearance of a new subspecies of wolf, the dog, as well as the even faster rise of dog-like domestic foxes during the late 20th Century.) Biologists disagree about what happens between these bursts of evolution — how much the species changes — but they agree that any change then is slow, often noticeable only after millions of years. The resulting theory is punctuated equilibrium: the idea that evolution alternates between sudden change and stability. I think history works the same way. Did the black swan appear suddenly, by natural history’s standards, and then go on to wreak havoc in human history? In 2007, Nassim Nicholas Taleb published a great book called The Black Swan: The Impact of the Highly Improbable (2d ed. Random House 2010). He argued that big, unpredictable events, called black swans, play the central role in human events. They radically reshape the world, suddenly and decisively. I think Taleb’s right. Massive, unpredictable disruptions define history: disruptions like the Iron Age barbarian invasions, Alexander the Great’s conquests, the fall of the Roman Empire, Islam’s eruption across the Middle East, Columbus’ voyages, the French Revolution, and World War I — along with smaller events like the Great Depression and the rise of the Internet. Each of these black swans redirected human history, suddenly and with no real warning — just as punctuated evolutions redirect natural history. What happens between black swans? Equilibrium. Like biologists, historians (and Taleb) can debate how much development goes on between big disruptions. Whatever the answer, historical change is far slower and steadier during an age of equilibrium. Of course, human history chugs along much faster than natural history. It’s not the timeframes that match but rather the pattern: wrenching disruption alternating with stability and slow change. 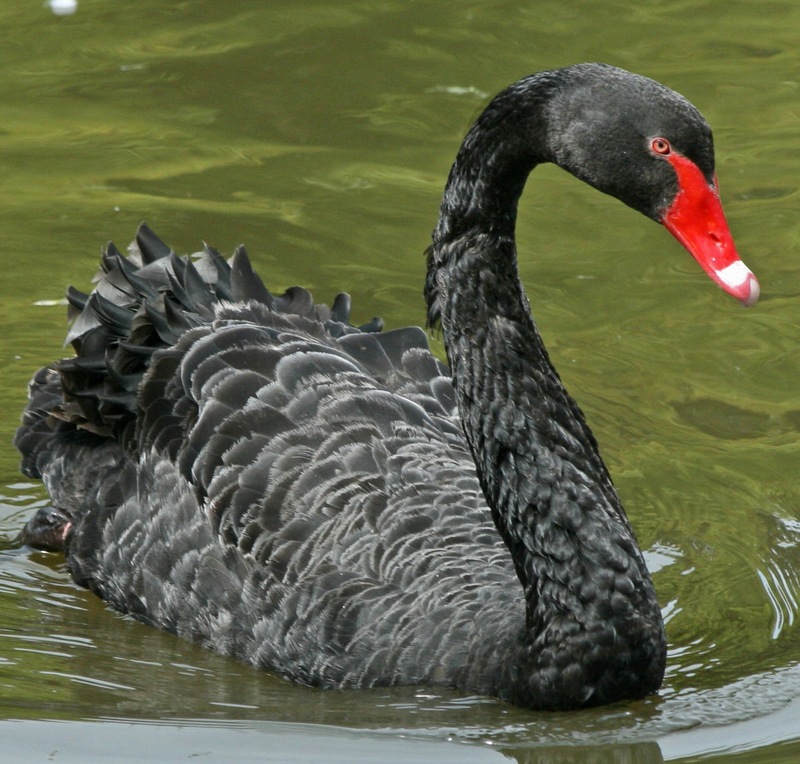 Taleb rails against those who claim — always after the fact — that a black swan was predictable. Again, I agree. With 20/20 hindsight, you might trace a black swan’s origins. But in advance, no one sees the approach of events like the fall of the Roman Empire or World War I. (There’s often some crackpot whose pre-swan warnings match what actually happened, but usually he had no idea when the black swan would come, and often he also predicted a long list of things that didn’t happen. Messianic ramblings and Cassandra-like worrying might land an occasional right answer, but that’s coincidence, not predictability.) On the other hand, slow development may be relatively predictable. And I suspect that’s why so many pundits think they can predict the future, and why so many historians see past events as predictable. Following trend lines may yield good predictions during equilibrium — during eras of slow and steady change. But the trends only help us predict events until the next black swan: until the next out-of-the-blue revolutionary opportunity or catastrophe — or new species. ← The Least Violent Time Ever? Now.